To be criminal is to break the law. But is it that simple? What if someone does something that is wrong, but legal? The environment, for example, is universal, but the laws governing its use are different everywhere. There are many human activities that harm the environment but are not illegal. We are the custodians of the environment for future generations, so is it not criminal to cause it irreversible harm? Criminologist, Professor Rob White, has not slowed in his pursuit towards advocating for and protecting the rights of Earth and its precious and diminishing natural resources. His study in the field of green criminology has seen him become internationally renowned for work which spans more than three decades, numerous books, over 250 articles and book chapters and various speaking engagements across several continents. The drive and motivation to tackle head on eco-justice on a global scale stems from a very personal level. “It seems to me that, if we don’t take a part in preserving and protecting nature in some way or another, then there’s just so much to lose”, he said. Green criminology describes an ecologically-informed critical approach to the study of environmental harm. It is a multidisciplinary perspective and encompasses a broad spectrum of issues including transnational environmental crime, pollution crime, water theft and illegal trade in wildlife. The approach incorporates legal concepts of environmental crime as well as non-legal concepts of harm. “For example, from a green criminological perspective looking at environmental harm, we would say that the clear felling of old-growth forests should be criminalised because it’s unbelievably destructive from an ecological perspective,” Professor White said. Professor White’s early career focussed on youth studies and juvenile justice, before also pursuing a particular focus on green criminology, which continues to gain global attention. Professor White said the multidisciplinary and interdisciplinary nature of green criminology called for a collective approach towards securing positive outcomes. “We can look at environmental law reform, we can look at criminalising activities that are environmentally harmful but, at the end of the day, we have to intervene as a society, and we can do that through a whole range of regulatory and policing strategies,” he said. “We can do this through formal institutions, environmental law enforcement agencies and the police, but we also need citizen scientists. “We need people who can blow the whistle on the damage that’s occurring around the planet. Rob White is a Professor of Criminology, in the School of Social Sciences, with a particular interest in green criminology. He has pioneered the field internationally and has written seven books on the topic. He is Director of the Criminology Research Unit, Academic Director of the Centre for Applied Youth Research (CAYR), and a member of the Tasmanian Sentencing Advisory Council. His research is focused on social and ecological justice, criminology and youth studies. He collaborates internationally on transnational law enforcement. He is also interested in innovative justice, particularly restorative justice, rehabilitation and desistance from crime. Professor Rob White is an internationally recognised criminologist with an extensive track record of publications and grants. He has published over 30 books (not including revised editions and translations), and over 200 articles and book chapters (refereed and professional), and is a leading figure in Australian criminology. Present research is focussed on innovative projects and approaches to offender rehabilitation, drawing upon examples from around the world and involving critical analysis of concepts such as 'innovation', 'greening justice' and 'desistance'. Rob is on the leading edge of international research in the newly established area of 'green criminology'. Rob is a foundation member of the International Working Group on Green Criminology, a former executive member of the Australia and New Zealand Society of Criminology, former Director of the Australian Clearinghouse for Youth Studies, and is presently a member of the Tasmanian Sentencing Advisory Council. Degree Monitor, Youth Development, New Zealand Qualifications Authority/WelTech (2013-2015). Member, Science and Policy Advisory Board, EU-funded research project (FP7) 'European Action to Fight Environmental Crime (EFFACE)' (2013-2015). Member, Sentencing Advisory Council of Tasmania (2013-2015). Co-Convenor, international conference on Environmental Crime and the Money, University of Tilburg, The Netherlands, September (2015). External Advisor, Sociology Programme, The Australian National University (2014). Co-Convenor, international conference on Environmental Crime and the World, University of Tilburg, The Netherlands, September (2013). Keynote Speaker and Conference Rapporteur, United Nations Conference on Environmental Crime, organised by UN Interregional Crime and Justice Research Institute, United Nations Environment Programme and Italian Ministry of the Environment, Rome, October 2012. (2011-2012). Co-Convenor, international conference on Environmental Crime and Its Victims, organised by Delft University and Netherlands Police Academy, The Netherlands, Delft, September, 2012 (2011-2012). Convenor, Australian and New Zealand Critical Criminology Conference, Hobart, July, 2012 (2012). External Member, Holistic Review of the School of Law and Social Justice, University of Liverpool (May, 2012). Selection Panel, Senior Management position, Tasmania Community Corrections, (2009) Hobart. Member, Community Youth Justice Collaboration Forums, Working Group, (2008) Hobart. Presentation, Socio-Economic Disadvantage & Criminal Justice, Commonwealth Grants Commission, (March, 2008) Hobart. Research Reference Group for Anglicare Tasmania's Centrelink Debt Recovery Project, (2007-2008), Hobart. Submission to Legislative Council Select Committee on Ashley, Youth Justice and Detention, Parliament House, (January-February, 2007), Hobart. Expert Opinion, NSW Crown Solicitor's Office, On Matters Pertaining to Rock Throwing from Overpass Bridges, (October, 2006), Sydney. Member & Chair, Our Community/Our Democracy Partnership Taskforce (UTAS in conjunction with State Government) (2005-6). In addition to managing a large range of funded research projects, Rob White has an extensive record of administrative expertise at the local, national and international level. This includes leading roles in International Working Group on Green Criminology, the Australia and New Zealand Society of Criminology, International conference organisation, and involvement in a wide range of community and University organisations and committees. Professor White's intellectual impact is also evident in the success of his criminology and sociology textbooks. Six of these textbooks (published by Oxford University Press and Cambridge University Press) are presently in repeat editions, indicating their strong performance and sustained relevance over time. Crime and Criminology (now in its 5th edition) has sold over 32,000 copies, including 7,000+ copies in the United Kingdom and 3,000+ in the United States. In Canada, the book was deemed valuable to the extent that a special 'Canadianised' edition has been produced (now into its own 2nd edition), with an additional 3,000+ sales to date. Crime, Criminality and Criminal Justice (2010) is presently the standard Australian criminology textbook, having sold over 10,000 copies since publication, and as of 2015 is now in second edition. Rob White teaches undergraduate and postgraduate units in Criminology. Professor Rob White was elected Fellow of the Academy of Social Sciences in Australia (FASSA) in 2014. He has been Director of Sociology & Criminology at the University of Tasmania, and is currently Chair of the Arts Faculty Board. He is Academic Director of the newly formed Centre for Applied Youth Research, a not-for-profit organisation based in Hobart that fosters applied work across the practitioner-policy-research continuum. Rob White has recently been appointed to a 2-year term as Fellow of the Australian National University, and a 3-year term as Visiting Professor at the University of Northumbria, UK. He is a member of the Sentencing Advisory Council of Tasmania. In 2012 Rob White was co-organiser of a conference on Environmental Crime hosted by the United Nations Interregional Crime and Justice Institute in Rome, and was co-organiser and keynote speaker at an international conference on Environmental Victims in The Netherlands. In 2013, he was invited to be a member of the Science and Policy Advisor Board for a major EU research project, 'European Union Action to Fight Environmental Crime' (involving 11 partners in various European countries), as well as part of a 'green criminology' Presidential Panel at the American Society of Criminology conference in Atlanta. In 2014, he was keynote speaker at an ESRC funded conference on Environmental Crime held in London. He is co-editor of a new book series, Palgrave Studies in Green Criminology, the first books of which were released in April 2015. Rob White is an internationally recognised criminologist with expertise in youth studies, juvenile justice and the new transnational area of green criminology. Research excellence is not only measured in terms of quantity. It is also evident in the quality and impact of Professor White's various contributions. For example, Rob White's intellectual contribution to green criminology is varied and substantial, and together his works present a coherent and evolving corpus of work. Rob's research also examines the limitations and contradictions in the existing mechanisms of conflict resolution and harm reduction in relation to environmental crime. For example, his book Environmental Harm: An Eco-Justice Perspective (2013) was a unique study that offered a systematic and critical discussion of the nature of environmental harm from an eco-justice perspective. The book evaluates three interconnected justice-related approaches to environmental harm: environmental justice (humans), ecological justice (the environment) and species justice (non-human animals). White's overarching contributions to green criminology have been foundational and lasting. Importantly, the work of Professor White has been pivotal in reinforcing the critical content of green criminology – to make environmental justice and ecological harm problematic – rather than simply dealing with environmental crime as a matter of 'legality' and subject solely to conventional criminal definitions. Rob White has consistently been at the forefront of work on the social dynamics pertaining to young people's use of public space, producing a number of signal works for both academia and public policy. Over his career Professor White has made major contributions to the area of youth studies, including juvenile justice. With co-author Johanna Wyn, he helped set the theoretical context within which youth studies has developed as a distinct field, globally, over the past three decades. Rob White has spent over thirty years engaged in the study of youth gangs. This recently culminated in the publication of his book Youth Gangs, Violence and Social Respect: Exploring the dynamics of provocations and punch-ups (2013). This is the first book dedicated to Australian youth gangs, exploring the subtleties and nuances of street life for young men and their quest for social respect. No other Australian scholar has done more research on youth gangs, nor had the professional and policy impact that White has had nationally on these issues. Professor Rob White is an internationally recognised criminologist, a prominent international figure in youth studies and juvenile justice, and an international leader in the new field of 'green criminology'. Rob White has a 'google scholar' score of h-index (29) and i10-index (85) and 4460 citations (as at 8 April 2015) that clearly ranks him in the higher echelons for Criminology and Social Sciences research globally. His publications are a combination of sole authored and collaborative scholarship, indicative of a track record of independent research and sustained, effective research collaborations nationally and internationally. He has brought in over $400,000 in consultancy monies, and over $2 million in research grants over the course of his career. 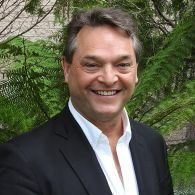 As well as an extensive international network of research collaborators, Rob White has been building strong links with relevant professional bodies – such as the Australasian Environmental Law Enforcement and Regulators Network, INTERPOL and the United Nations Interregional Crime and Justice Research Institute – so that academic research is translated into relevant policy and practice at the ground level. An example of Rob's collaborative approach is in the areas of youth studies, juvenile justice and youth work. Professor Rob White has demonstrated the importance of engaging in social science as a form of praxis. His critique of coercive approaches to youth crime prevention and punitive criminal justice responses to youth offending (including the hyper-incarceration of Indigenous young people), combined with advocacy of progressive, evidence-based forms of restorative justice and rehabilitation, has placed White at the forefront of innovative justice. This has not just been a theoretical task, but one in which White has been an active participant, involving close interactions with juvenile justice authorities, departments of justice, police services, local councils, schools and advisory bodies. Co-editor of 'Environmental Crime and Collaborative State Intervention' (in press, Palgrave Macmillan) –this project has involved a wide variety of transnational institutions and cross-national collaborations, from INTERPOL through to the US Environmental Protection Agency. Co-organiser of 'Insecurity/Innovation/Insight: Meeting the challenges facing youth in Asia and the Pacific' and Academic Editor of the new international journal, the Journal of Applied Youth Studies. These activities have involved forging new relationships, particularly in the South East Asia region. Visiting Professor at Northumbria, UK – a three year appointment designed to enhance collaboration between researchers at Northumbria and myself on 'green criminology' projects, articles, grants and teaching (includes 2-week visits to Newcastle, UK each year). Stephen Crook Memorial Prize (best Australian authored book in sociology 2010-2011), awarded by The Sociological Association of Australia (2012) for Transnational Environmental Crime: Toward an eco-global criminology. Rob's research focuses on social and ecological justice and encompasses projects at the local through to the international level. Current and recent projects include evaluating School community partnerships; climate change adaptation in the South Pacific, evaluating prison peer support and post release programs; policing hazardous waste disposal; an assessment of Australia's children's courts; and forensic science effectiveness in the criminal justice system. Rob White's publications are a combination of sole authored and collaborative scholarship, indicative of a track record of independent research and sustained, effective research collaborations nationally and internationally. He has published over 30 books (not including revised editions and translations), and over 200 articles and book chapters (refereed and professional). Books have been published with Oxford University Press, Cambridge University Press, Allen & Unwin, Willan Publishing, Routledge, Palgrave Macmillan, Springer, Policy Press and Ashgate. 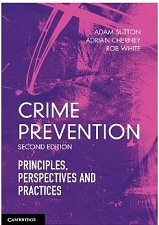 Among his textbooks are Crime and Criminology (with Fiona Haines & Nicole Asquith); Crime and Social Control (with Santina Perrone); Juvenile Justice (with Chris Cunneen); Crime Prevention: Principles, Practices and Perspectives (with Adam Sutton & Adrian Cherney), Working with Offenders (with Hannah Graham), and Crime, Criminality and Criminal Justice (with Santina Perrone). 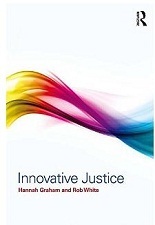 A research monograph, Innovative Justice (with Hannah Graham) was recently published with Routledge. White's overarching contributions to green criminology have been foundational and lasting. His conceptualisation of eco-global criminology, for instance, provided the thematic starting point for a Scandinavian text Eco-global Crimes: Contemporary Problems and Future Challenges (edited by R. Ellefsen, R. Sollund & G. Larsen) which critically engaged with the notions of ecology and the transnational in assessing the nature of harm. His 2014 book Green Criminology is the first ever comprehensive and international student textbook in this sub-field, and reflects Professor White's abiding interest in training the next generations in the concepts and methods of green criminology. As part of these efforts, White has consistently played a major role in bringing scholars and researchers together from around the world and helping to build a critical mass of green criminologists who are collectively engaged in this vital area of work. He is a facilitator of connections between people, as is particularly evident in foundational edited books in green criminology and the several special issues of journals that he has edited in this area. Rethinking Youth (1997) is considered a signal foundation text that explores key concepts such as 'youth', 'adult', 'generation' and 'subculture' from a social scientific viewpoint. Youth and Society (2008/2013) likewise provides important insights into how structure and agency are played out in the real world activities of young people. Other work has examined the nature of youth work and the role of youth workers in addressing social problems, the contours and make-up of Australian youth subcultures, and the continuing relevance of 'class, gender and ethnicity/race' in analysis of contemporary youth issues. This project explores the practical interface of green criminology as a perspective and methodology (incorporating environmental horizon scanning) that involves the study of environmental crimes and harms, and critical forensic studies that involves consideration of the contexts and methods of forensic science (as a mode of investigation into criminal wrongdoing). This is an evaluation of The Smith Family's School-Community Hub in Launceston Tasmania. The waste management area presents numerous opportunities for crime. The aims of this study are: to develop an inventory of problems and crimes associated with the disposal of hazardous waste; to collect information on who carries out regulation and enforcement activities in regard to the disposal of hazardous waste in Australia; and to undertake an audit of the operational practices of relevant environmental law enforcement agencies operating at international, national, regional and local levels. The research aims to assess the effectiveness of forensic science in the criminal justice system (in both police investigations and court outcomes). This collaborative research will develop an evidence-based best practice model for using forensic science in both the reactive and proactive investigation of serious and volume crime. This research is significant in that, for the first time in Australia, an attempt will be made to establish the value of forensic science thereby assisting in the achievement of intelligence-led policing and improving court outcomes that will serve to safeguard Australia from crime. Professor White is always interested to hear from potential candidates in the fields of Criminology. A list of current and completed projects appears below.